This skillfully designed !nspire bench is just what you need to complete your space. The combination of metal material finished in grey will add a contemporary flavour to any room. The grey frame is durable and elegant for your home. This skillfully designed !nspire bench is just what you need to complete your space. Add contemporary flare to any room with the combination of solid wood construction and beige finish. Your home will benefit from the unique and well-constructed beige frame. Skillfully designed, this !nspire bench is just what you need to complete your space. The combination of a metal base in a black finish is perfect for adding a contemporary feel to any room. Your home will benefit from the unique and well-constructed grey frame. This finely designed Acadian bench is exactly what you need to complete your space. The combination of a solid wood base in a brown finish is perfect for adding a contemporary feel to any room. The brown frame is durable and elegant for your home. 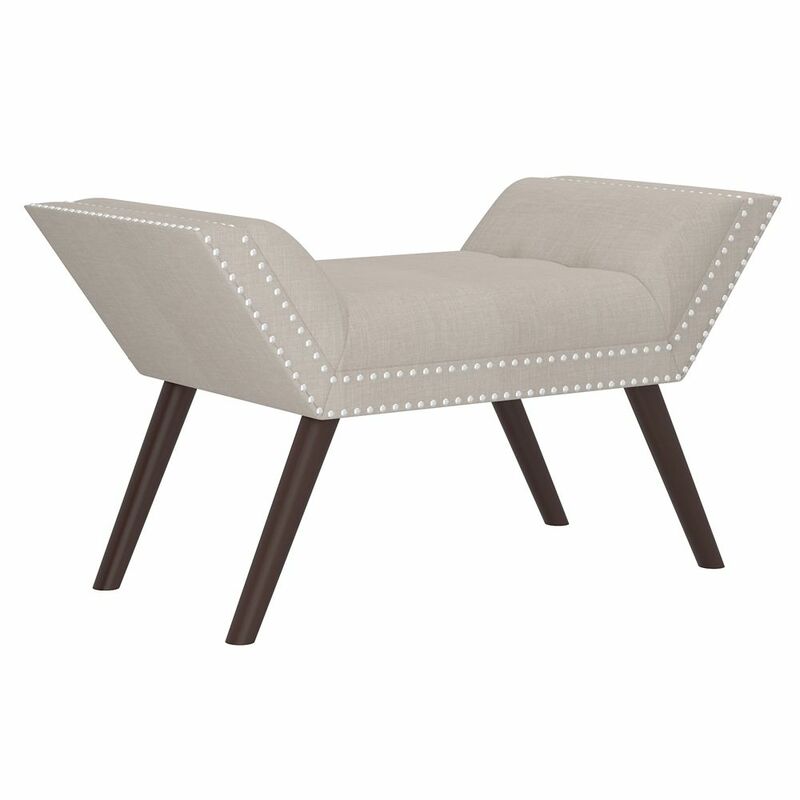 This skillfully designed Powell bench is just the piece you need to make your space complete. A solid wood finish in cherry is sure to add contemporary flavour to any room. Your home will benefit from the unique and well-constructed cherry frame. Lana 35-inch x 18.25-inch x 17-inch Metal Frame Bench in Grey This skillfully designed !nspire bench is just what you need to complete your space. The combination of metal material finished in grey will add a contemporary flavour to any room. The grey frame is durable and elegant for your home.